MConsole (Message Console) is Isode's central tool for messaging system Configuration and Operational management for both Internet and X.400 Messaging deployments. 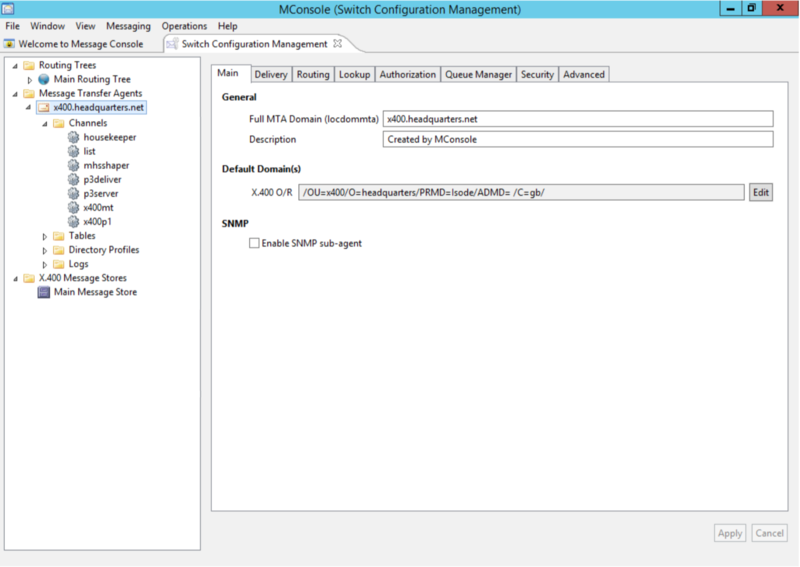 On this page you'll find information on MConsole configuration management features specific to X.400 Messaging. Both M-Switch X.400 and M-Store use directory based configuration, with configuration and user agent information stored in Isode's M-Vault directory. MConsole connects to the directory using an Isode Bind Profile, shared with Isode GUIs that access the directory. Multiple messaging configurations can be managed from MConsole. New configurations can be set up and existing ones modified using a configuration wizard, making it easy to set up simple configurations for a range of different purposes, while not imposing any constraints on more complex ones. The configuration management screen shown below shows the start of the messaging system configuration wizard, offering a selection of market focused configuration options in addition to a General Purpose X.400 configuration. 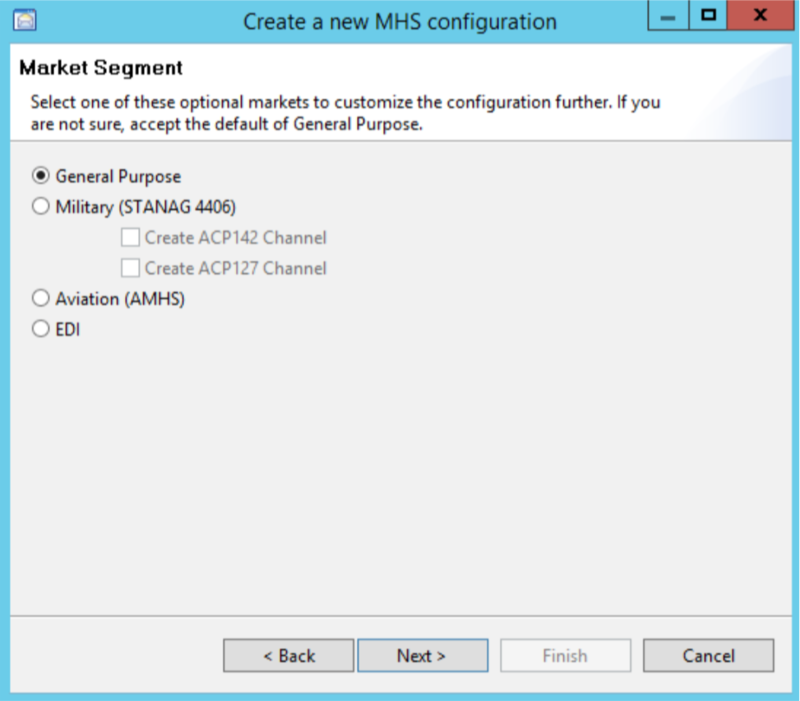 EDI: which tailors the configuration so it is more suitable for EDI (includes the configuration of a gateway channel). The wizard will create a complete configuration including Channels, Loggin Streams (Audit, Event and Operator) and X.400 Message Stores for X.400 or MIXER messaging systems. This standard configuration can then be further edited. MConsole X.400 Mailbox View enables the creation and control of Distribution Lists. Members of a distribution list can be added manually or by 'drag and drop'. MConsole can also be used to configure parameters used to control X.400 distribution list behaviour. MConsole is also used to support X.400 Disaster Recovery configuration, and in particular to configure Message Store fail-over. This is described in detail in the whitepaper [X.400 Disaster Recovery].